It's safe to say, that Android OS has gone from strength to strength in the last few years. 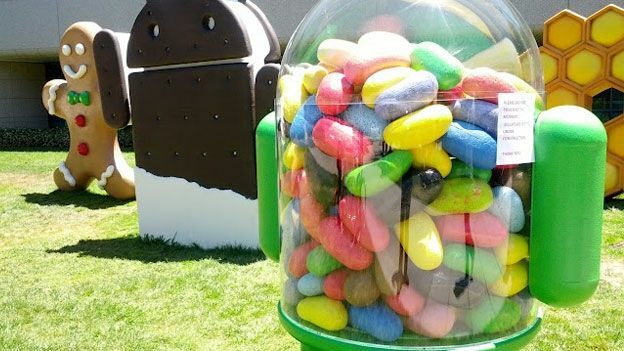 But Google is not a company to sit on it's laurels, and even though we're only part way through the process of Android 4.0 Ice Cream Sandwich being rolled out onto compatible devices, Android 4.1 Jelly Bean has already been announced. Although full details are still thin on the ground, a number of features were unveiled yesterday by Google, and we've condensed down the info to bring you the key details you need to know about the new mobile OS. Jelly Bean will be more intelligent and intuitive than previous versions of the OS. For example, the CPU power will be ramped up to higher modes of processing as soon as you touch the screen. Whether this will effect battery life remains to be seen, but effectively, you're getting the power when you really need it, and conserving it more efficiently when you don't. A number of other features have been added or tweaked. The keyboard learns intelligently overtime, which should mean less mistypes, and it's now easier to shuffle widgets around. Notifications have had an update – if you've had an email, missed call or text you can read it straight on the homescreen. A new UI is much more integrated into search, and awful lot was made of the voice interaction capabilities. Users can now dictate into apps offline as well, while new cameras options mean you can swipe images to file or delete them. One of the main principles of the latest Android version will be how smooth it runs, codified through something called 'Project Butter'. This should help to reduce the latency and system lag suffered by earlier Android versions, helping the GPU and CPU work together to create frame rates of up to 60FPS. Android Beam is Google's NFC-enabled connecting tech. Using Android Beam you can send photos, contacts, directions, even music between enabled devices in just seconds. Google Now was also launched, which is essentially about giving specified info on a bespoke basis. It will inform you of a faster route if there's traffic, or when the next bus is. Google Places can now show what's going on around you, for instance it'll tell you about the restaurants nearby as you walk past them, giving you reviews and other Google-y information. It will even tell you when you need to leave to get across town on time for that afternoon meeting. Jelly Bean will be available Open Source as of mid July, and the SDK is available now. How to: How do I get Google Now working?